BPH cannot be cured, but there are treatments to help reduce your symptoms. MDforMen will help you decide which treatment is appropriate for you. Symptoms that are mild or that do not bother you may not require treatment. Small changes to your lifestyle to may help to control your symptoms, and you do not take medicines or have surgery. Be sure to have regular checkups to insure that your symptoms are not getting worse. Your treatment depends on how much you are bothered by your symptoms. If they are moderately affecting your quality of life, you may choose treatment with medicine. If the symptoms are more bothersome or you want more aggressive treatment, less invasive therapies, such as transurethral microwave therapy (TUMT) or transurethral needle ablation (TUNA), may be offered. Surgical options may also be offered at this stage. You may want surgery if your symptoms have not been helped with other treatments. Other considerations, like an ongoing inability to urinate, kidney damage, urinary tract infections, bladder stones, or ongoing blood in your urine, should be treated with surgery. 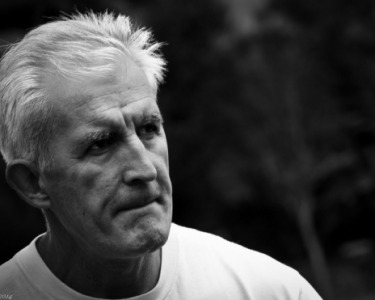 Many men with benign prostatic hyperplasia (BPH) exhibit few or no symptoms. When symptoms of BPH do occur, they may range from mild and barely noticeable to serious and disruptive. Also, there is not necessarily a relationship between the size of the prostate and the severity and number of symptoms. Men with large prostate glands may not experience server symptoms, while men with mildly enlarged prostate glands may experience much worse symptoms. Difficulty getting a urine stream started and completely stopped (also known as dribbling). A feeling that your bladder is not completely empty after you urinate. These symptoms may be caused by other medical conditions, such as heart problems, urinary tract infections, prostate cancer, or other neurologic diseases. If you are experiencing the symptoms of BPH, contact MDforMen (or your local urologist) and ask for an examination. Call MDforMen (505-433-4665) to make an appointment.